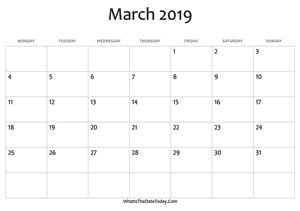 Another 2019 Printable March Calendar with Notes space. This calendar start with monday include weekend highlight and notes space at the right of it. 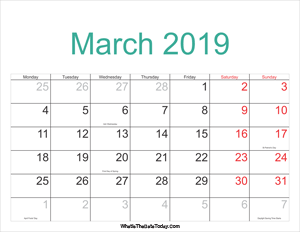 List of march holidays, local holidays and national observances. Looking for other march calendar in a different style or layout? 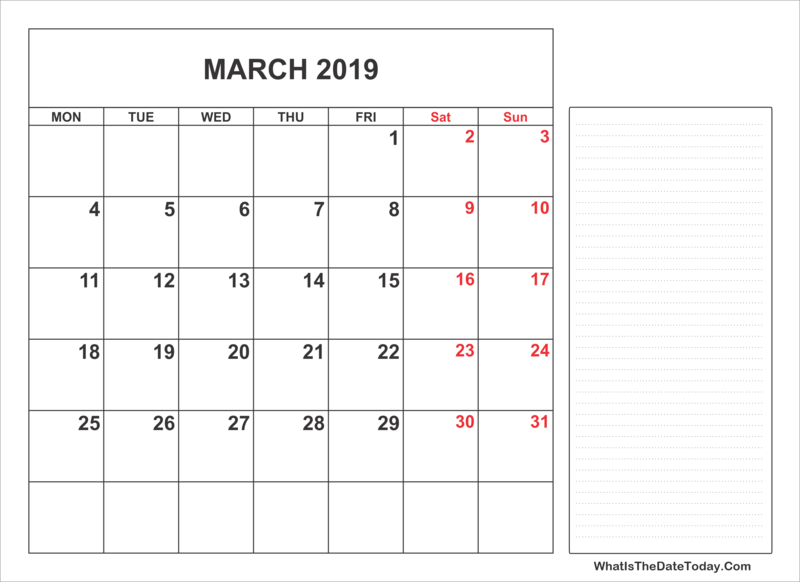 We have a large variety of 2019 march calendar templates for Word, Excel & PDF to download and print. 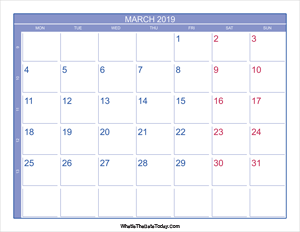 2019 march calendar with week numbers. blank march calendar 2019 editable.